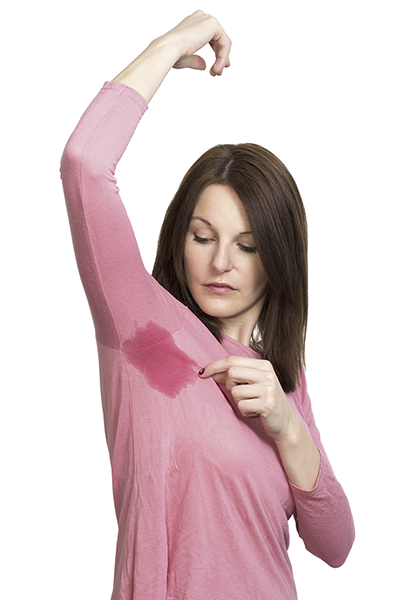 Hyperhidrosis, or excessive sweating, can cause psychological distress, social embarrassment, and plain annoyance. Hyperhidrosis is due to a number of factors and correct categorization is required prior to starting any treatment plan. It commonly occurs in the underarms or palms and soles, but may affect any part of the body. Our physicians are experts in the use of various topical treatments, oral therapies, and minimally invasive procedures to help decrease unwanted sweating. These include Botox® (botulinum toxin type A) injection into the skin as well as MiraDry, a new microwave-based technology that directly targets the sweat glands and shuts down their production of sweat. Studies show that after two treatments with MiraDry, sweat production is decreased by 80%.